This property of about 5,363sqm is located feet in the water, in a very residential area in Giens. A beautiful sea view extends from the bay of Carqueiranne, through the bay of Almanarre to Brégançon. 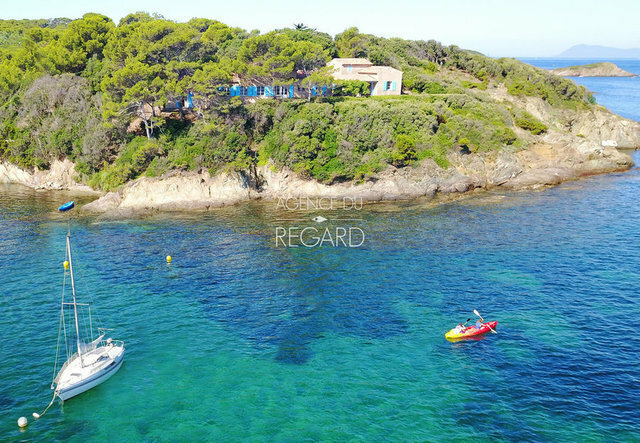 Access to the sea and its coves with turquoise waters is from the property with a possibility to go directly on pedalo, windsurfing, canoeing, paddle, ... House of about 212sqm, in a Provencal style housing 8 bedrooms and a livingroom with monumental fireplace and exposed beams to the old.